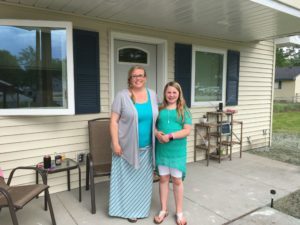 Midland County Emergency Food Pantry Network | Our Vision: "Always Food in Every Home"
No one should have to worry about how they will afford to feed themselves or their family. Many people in our community are faced with this concern every day. Hunger does not discriminate. Hunger does not care about gender, age, race or religion. 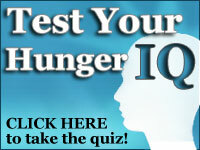 Hunger can affect people who are unemployed or working fulltime. 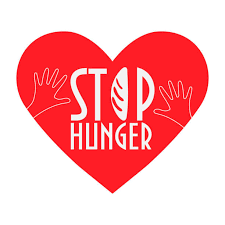 EFPN will be conducting its annual “Stop Hunger Challenge” during the months of March and April. All food and money collected during this time will count towards this challenge. Our goal for this campaign is $80,000 in food and money. Donated food, personal care and cleaning items are valued at $1.00 per item . We are once again very fortunate to have an anonymous donor offer a match for all donations. EFPN will receive a check from this donor in proportion to the total funds and food, personal care and cleaning items received during the challenge period. The Food Bank of Eastern Michigan is offering a 10% credit on our account for all money donated to us. 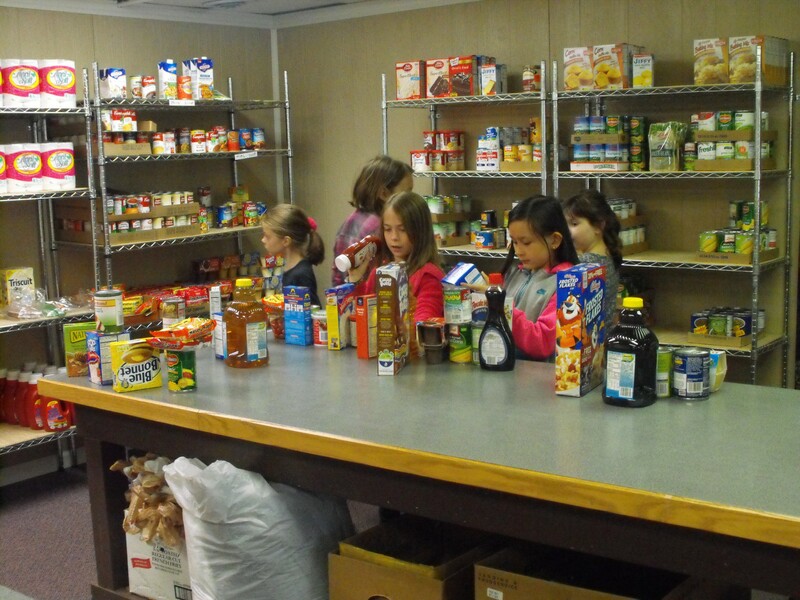 Donations toward any of our programs or specific pantries will qualify for the campaign. Monetary donations may be sent to EFPN, P.O. Box 2521, Midland, MI 48641-2521. Food donations may be donated to any of our pantries or warehouse. If you would like to leave a donation for the ware-house, please call 486-9393 to arrange a time for delivery or pickup. Many of our supporting churches will be collecting. You can continue to bring your donations to your church collection site. Two girl scout troops came to the EFPN offices to learn about EFPN. Girls Scout Troop 50721 brought boxes of girl scout cookies. 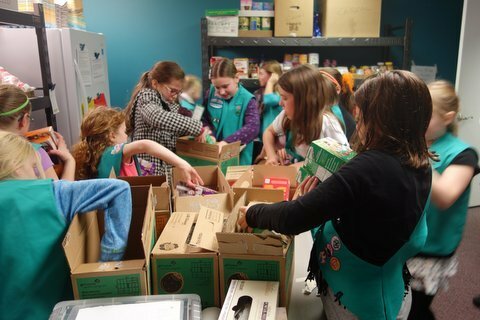 The girls counted the boxes in and put them on the shelves in our warehouse. Our pantry coordinators took the boxes from our warehouse for their pantry shelves. The cookies were a special treat for our clients. The girls also counted a food donation that had come in and shelved the items. 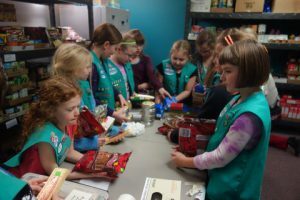 Girl Scout Troop 50574 brought items for birthday kits. 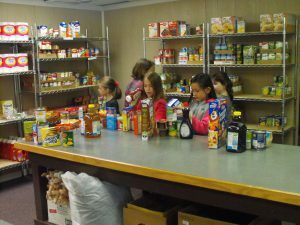 They had a tour of the SAMS pantry, one of our eight pantries. 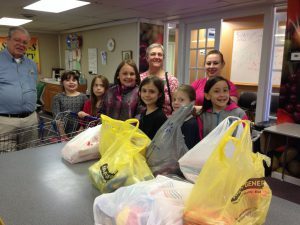 They were given the task of selecting a weeks worth of food for a two person family. We want to thank these troops for supporting EFPN and their willingness to learn about our organization. We also want to thank their leaders and their parents for teaching them to be concerned for those in need. AmazonSmile is a simple and automatic way for you to support EFPN every time you shop at no cost to you. When you shop on AmazonSmile, you will find the exact same low prices, vast selection and convenient shopping experience as Amazon.com, with the added bonus that Amazon will donate .5% of the purchase price of eligible AmazonSmile items to EFPN. Tens of millions of products on AmazonSmile are eligible for donations. You will see eligible products marked “Eligible for AmazonSmile donation” on their product detail pages. In order to get donations for EFPN you need to shop at http://smile.amazon.com . If you do not have an Amazon account you need to create one. On your first visit to AmazonSmile (after you have logged into your account), it will have a spotlighted charity but it will give you the option to choose a charity. Please search for Midland County Emergency Food Pantry Network. Amazon will remember your selection, and then every eligible purchase you make on AmazonSmile will result in a donation to EFPN.